Should smoking in all public places be made totally illegal, or not? 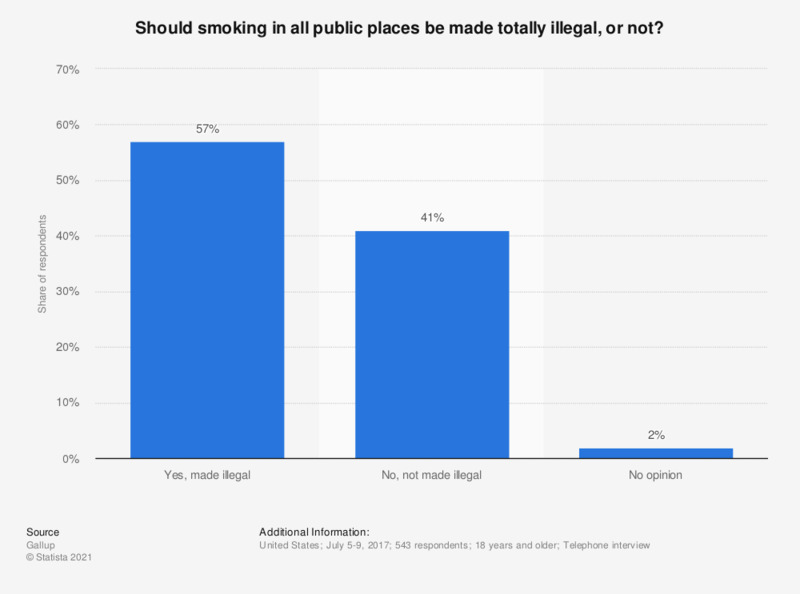 This statistic shows the results of a survey conducted in 2017 on whether smoking in public places should be made illegal in the United States, or not. 57 percent of respondents stated they think smoking in public places should be made illegal in the United States. Everything On "Smoking" in One Document: Edited and Divided into Handy Chapters. Including Detailed References. Should smoking in this country be made totally illegal, or not? Thinking of public spaces in Canada today, what is your overall view about the level of accessibility that should exist for people with physical disabilities?